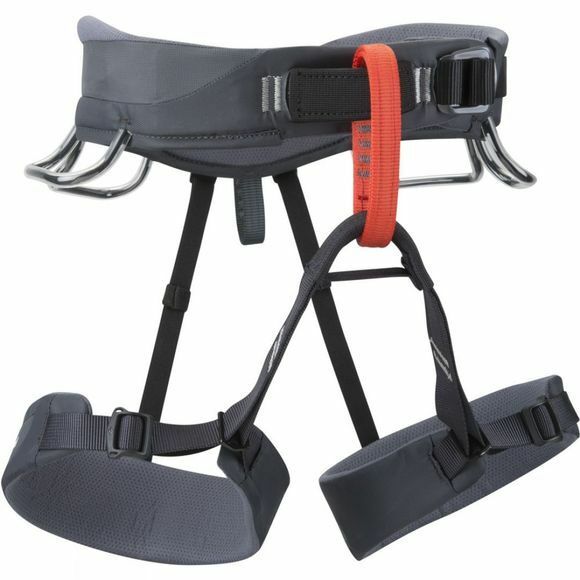 An all-around harness that balances comfort, breathability and durability, the Momentum SA features Speed Adjust buckles and our trakFITâ„¢ leg loop adjustment system. 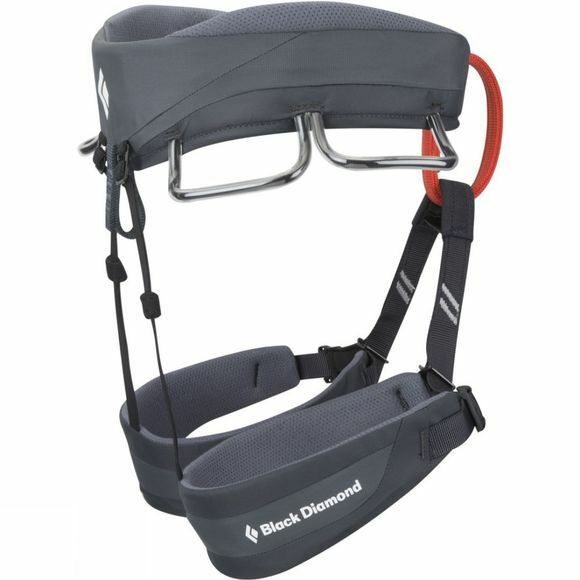 Suited for everyone, from the first-time climber to the seasoned hardman, the Black Diamond Momentum SA features our Dual Core Construction to provide an expert balance of comfort, ventilation and durability. Dual Core Construction uses two slim bands of high-tensile webbing on the outer edges of the waistbelt and a venting OpenAir foam insert in the center to balance comfort and breathability without pressure points. Our trakFIT leg loop adjustment system uses a simple, secure slide adjuster to quickly and easily adjust the diameter of the leg loop and provide a wide range of fit.